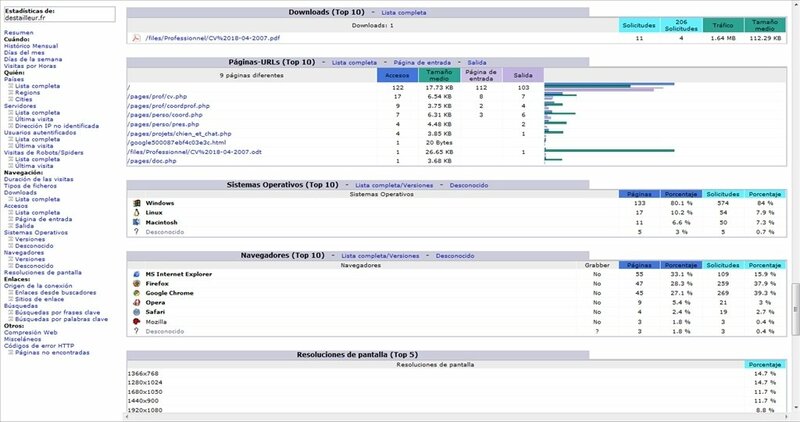 The easiest and most efficient way to control the statistics of a web server, an email server or FTP servers consists in creating registry files or logs with the data. 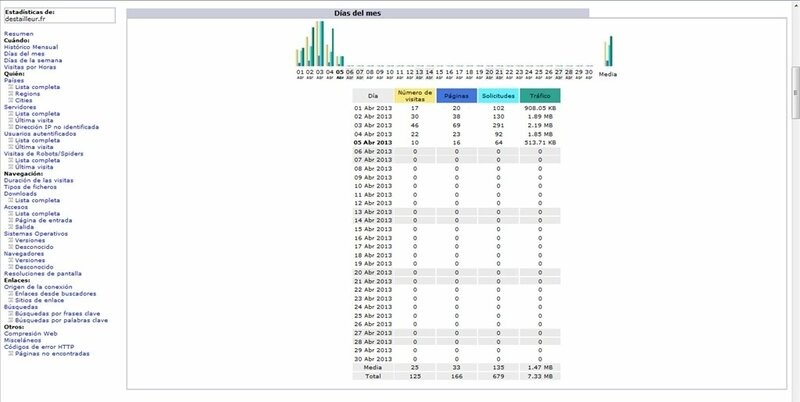 These text files contain all the information that has been gathered, and a program like AWStats is capable of analysing it and showing the most important information in charts. 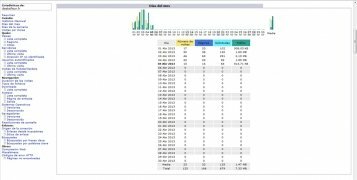 AWStats is a log analyser that generate charts and tables, ideal to understand dozens of pieces of information about your website, email or FTP server. Why handle unintelligible registry files when AWStats can process all that information and supply it appropriately? It is compatible with the main servers like Apache, WebStar, IIS and other proxy, WAP and streaming web servers. 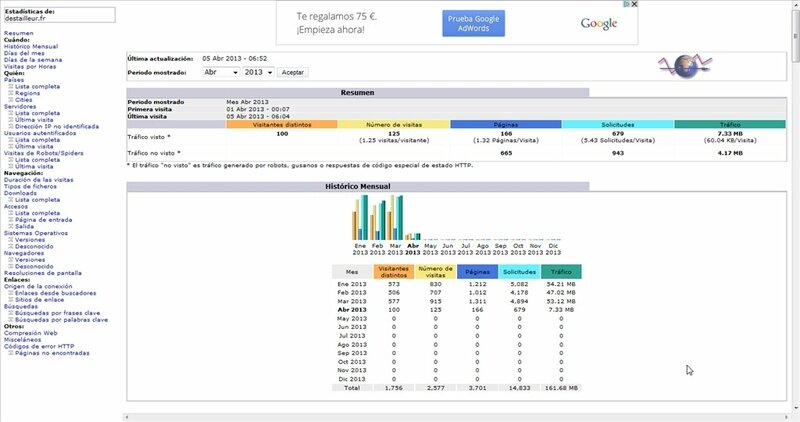 AWStats shows the data on the web. You can view them wherever you are. Furthermore, it is compatible with plug-ins that increase its capacity, and it offers excellent speed. 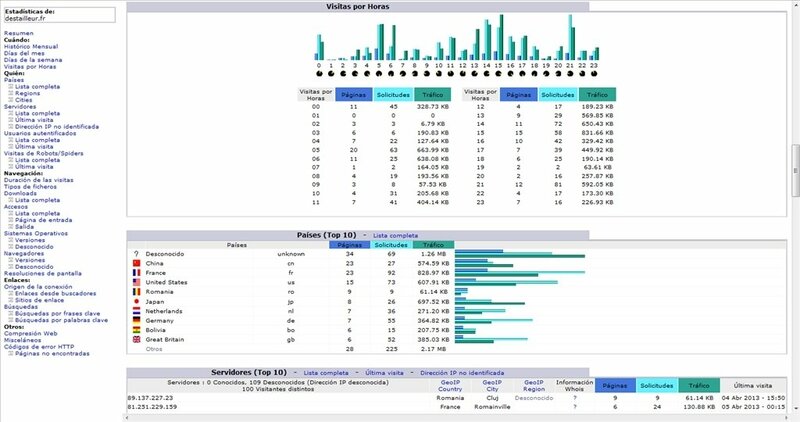 Install AWStats on your server to show and view its statistics and make the most of one of the most renowned tools in professional environments. This download requires a Perl server.